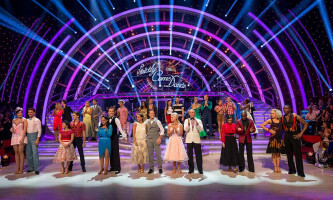 Why A Dance Weekend With The Stars Of Strictly Come Dancing? Do you do a mean four step? What about your whisk? Already mastered your contra bota fogos? If you answered “no”, “no”, and “my what?” then no problem. Read on. Whether you’re a ball dancing pro or not, this experience is totally unforgettable. You get to spend a whole weekend mingling with your favourite stars from Strictly Come Dancing. Oh, and you’ll learn to dance with them, too! What Does The Weekend Include? You also get Q&A sessions with the stars, dance nights, and tickets to the Black Tie Ball featuring a 15-piece big band that will nearly blow the roof off the place. If you’ve ever watched Strictly Come Dancing and wished that was you up there doing the Rumba, then this amazing weekend of music and movement is definitely for you. So go now, and give it a spin!